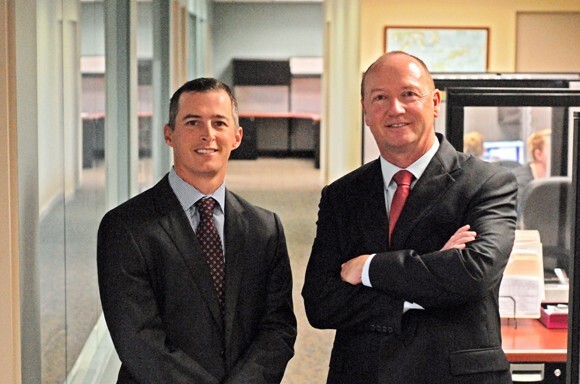 After a quarter century in an industry that’s changed tremendously, AmeriFlex Financial Services is gearing up for its biggest year. The Santa Barbara-based independent financial services and wealth management firm has successfully weathered two massive market crashes since its founding in 1988. It’s now gearing up to offer services to teach and train other financial advisers, a push which it expects will double its revenue and staff and has already spurred it to expand its office space by 40 percent. Goodson leveraged relationships with human resources executives at some large companies in Santa Barbara who needed 401(k) plans set up. Twenty-five years later, AmeriFlex offers a range of services, from retirement accounts to tax planning, in addition to working with high-net-worth clients. To draw in clients, AmeriFlex has started offering tailored products to specific groups. It’s most recent is called the Woman Investor Program, which offers a “Fun and Finance” series of events to make investing more approachable. Women face specific challenges when planning their finances: They live longer, they tend to move in and out of the workforce as they juggle family responsibilities, and they still earn 81 cents to the dollar compared with men, said Bibi Taylor, a wealth manager with the firm. Women tend to outperform men when they do invest because they take fewer unwarranted risks, but that tendency toward conservatism can make it tough to persuade women to invest rather than save. “It’s the challenge of getting them to see the value in having their dollars work for them,” Taylor said. Once everything in a client’s financial life is digitized, AmeriFlex largely turns over the reins through its website, where clients can see and manage it on their own. Goodson doesn’t worry one bit about handing the client that power because it allows to AmeriFlex to focus on its clients’ thorny questions about inter-generational wealth transfers, deaths, business sales or divorces. “The more you empower people, the more they trust you. And if they trust you, you’re the first point of contact for events,” Goodson said. Justin Anderson, the firm’s other principal, said AmeriFlex decided to become an early adopter of the technology that put clients in control because it sees the industry heading toward a future where a premium will be put on human interaction for questions that only an adviser can solve. “Managing investments itself is becoming commercialized. You have to look at how to add value. It’s more complex than just managing an account,” he said. AmeriFlex is getting in the business of training other advisers from around the country with its approach. Goodson said it’s the perfect way to stay rooted on the South Coast and increase the top line.